A swimming pool is likely to be the second largest investment you will make. We view this as a serious commitment to give you the highest quality product possible and give you years of enjoyment, while increasing the value of your home. Our mission has always been, and will always be to turn every client into a satisfied client. The recommendations and positive feedback from happy families inspires us to continue being the best we can be. We love what we do, and we are grateful for the opportunity to serve you. 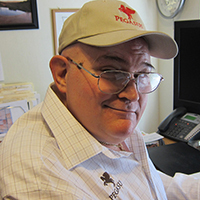 Chip Caldwell, owner of Pegasus Pools and Spa LLC, has over 40 years experience in the pool building business. Chip started in construction, where he learned every phase of pool building by actually doing the work. Eventually, he moved to sales and design, and started his own pool building business, having built some of the most spectacular pools in Dallas and Phoenix, including many celebrity pools. David Caldwell is a Senior Project Manager at Pegasus, and also happens to be Chip’s brother. 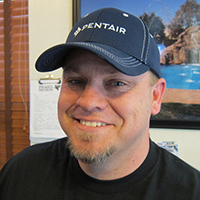 David has 22 years experience in sales and construction, bringing the highest standards of excellence to the Arizona pool industry. David provides top notch on-site supervision to make sure every pool is built exactly as designed. Kane Adkins began building pools in 1997 by performing layout and excavation work, and moved to a successful career in construction and sales. 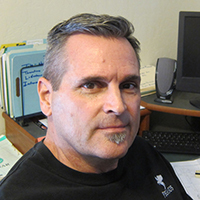 Kane was one of the first to bring virtual tours to the Arizona pool market, and is an expert with Pool Studio, the leading 3D modeling and design software. Kane’s passion for pool, hardscape and landscape design is surpassed only by his intense commitment to hard work and unsurpassed on-site construction supervision. Matthew Shaw is an up and coming pool designer, and quite skilled with Pool Studio computer modeling software. 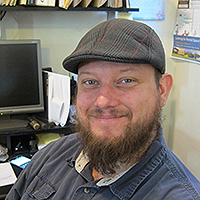 Matthew is also the Social Media Director for Pegasus Pools, and a real asset to the operation.